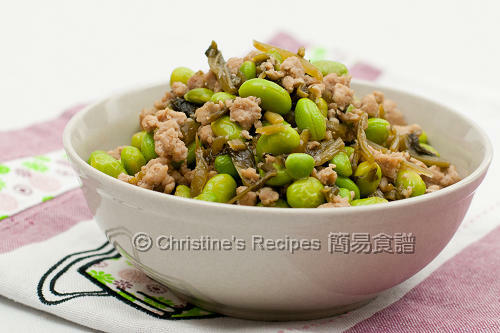 Christine, I replaced minced meat by mashed hard bean curd. Yum! Christine, the very first time I had 毛豆 was at a Japanese restaurant, I was immediately hooked on that (but also mistaken it only been found in Japan :P). 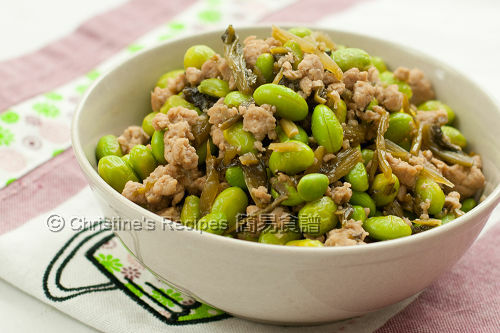 Love your version, be it vegetarian or not, that goes with 雪菜!